[prMac.com] Meadville, Pennsylvania - Nuclear Nova Software today announced their GL Golf, GL Golf Deluxe, and GL Golf Lite for the iPhone, iPad, and iPod, has seen a series of large updates over the past year. Highlights include added reflections and shadows, five new courses, completely redesigned in game interface, three new trees, enhanced texture effects, and a native universal version for the iPad. These updates, along with the recent Mac App Store release, show Nuclear Nova's dedication to the GL Golf platform. GL Golf offers a realistic physics system and smooth, fluid graphics for compelling game-play. In GL Golf up to four players can golf twenty-four unique courses. 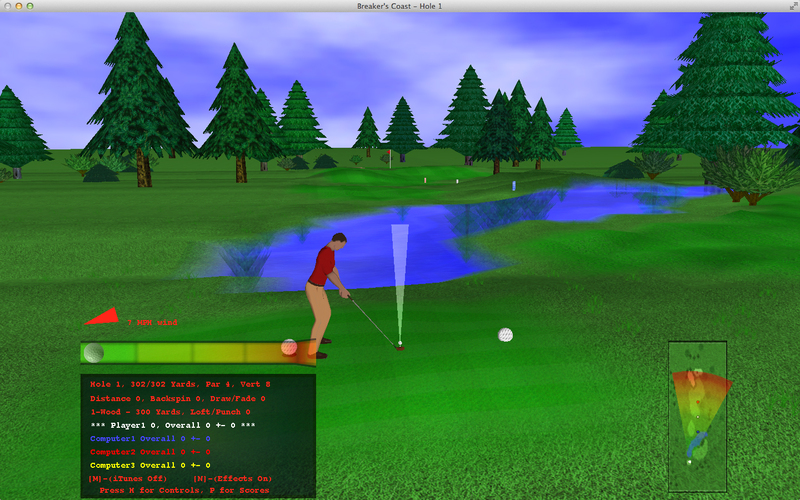 Everything in a real game of golf is included in GL Golf, such as water hazards, sand traps, trees, bushes, wind, four seasons, different times to play, and much more. Other unique features include game saving, three difficulty modes, mulligans, practice mode, as well as different sets of clubs. GL Golf Lite is free and is available exclusively through Apple's App Store. GL Golf Standard is $4.99 USD and is available exclusively through Apple's App Store. GL Golf Deluxe is $7.99 USD and is available exclusively through Apple's App Store. Located in Meadville, Pennsylvania, Nuclear Nova Software is a privately funded company founded in 2002 by Jake Leveto. Nuclear Nova Software was founded with the intent of developing unique and challenging games with compelling game-play for the Mac platform and iPhone. Copyright 2002-2011 Nuclear Nova Software. All Rights Reserved. Apple, the Apple logo, iPhone and iPod are registered trademarks of Apple Computer in the U.S. and/or other countries.